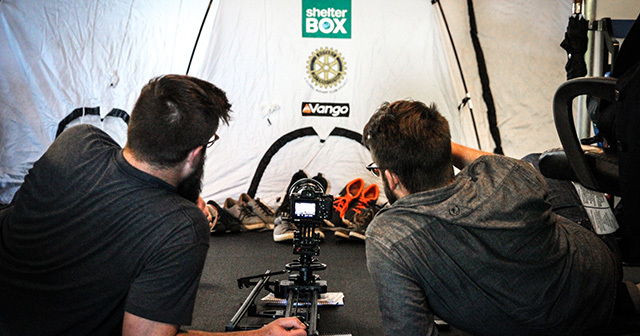 The American Accounting Association has selected ShelterBox USA as their 2018 Service Project Partner! As the largest community of accountants in academia, we are delighted and proud to be able to make a difference in the lives of so many families! 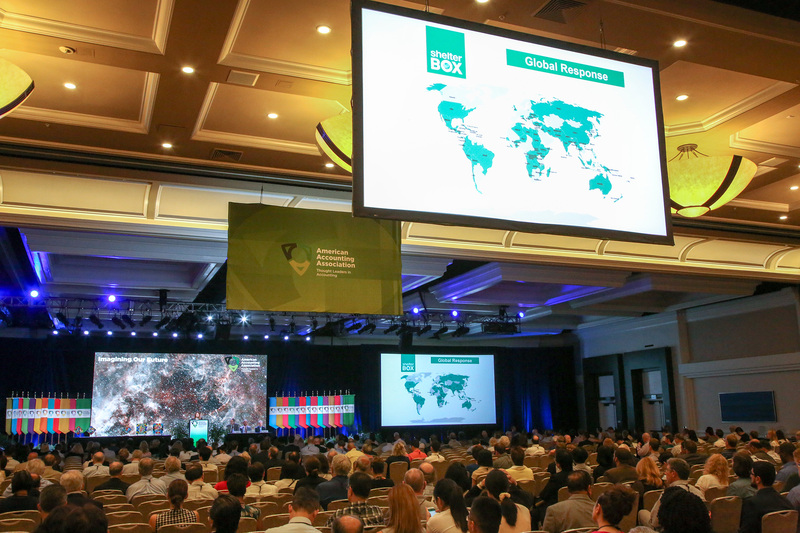 The American Accounting Association is the largest community of accountants in academia. Founded in 1916, they have a rich and reputable history built on leading-edge research and publications. The diversity of their membership creates a fertile environment for collaboration and innovation. Collectively, they shape the future of accounting through teaching, research and a powerful network, ensuring our position as thought leaders in accounting. The AAA Service Project began at the 2011 Annual Meeting in Denver, Colorado with a donation of 500 backpacks to the Denver School System. 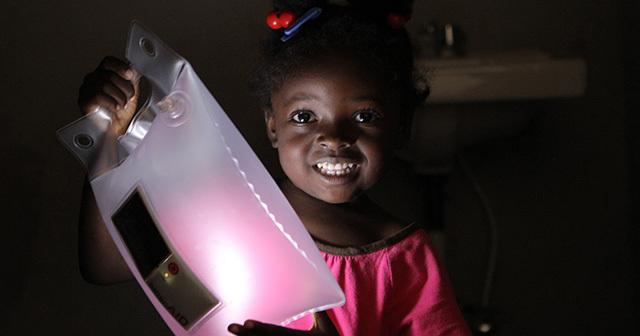 Every year since the AAA has partnered with a nonprofit organization. 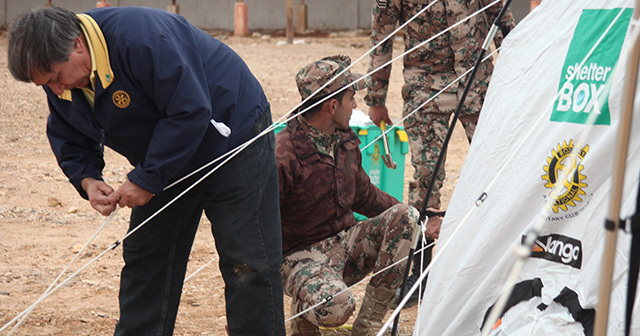 This year, the AAA is taking a more global approach by partnering with ShelterBox. 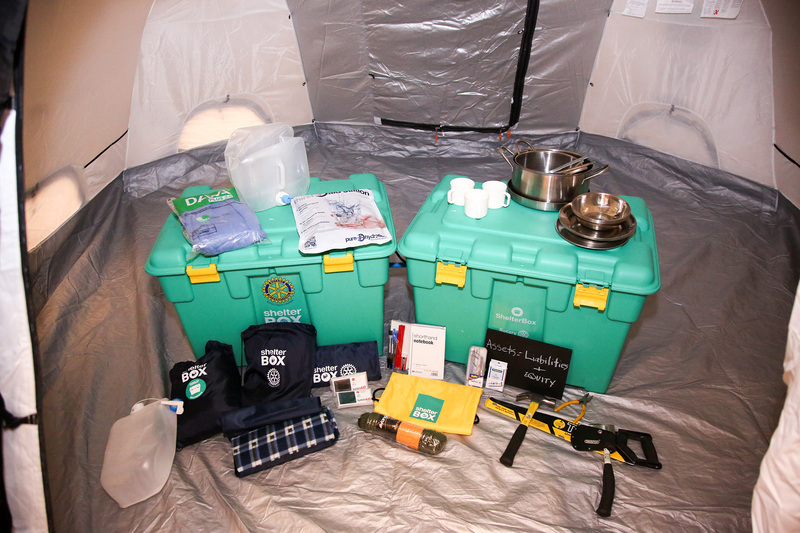 Continuing their tradition of giving to those who may otherwise go without, donations collected will be used to provide emergency shelter and lifesaving equipment to survivors of a disaster or humanitarian crisis worldwide. 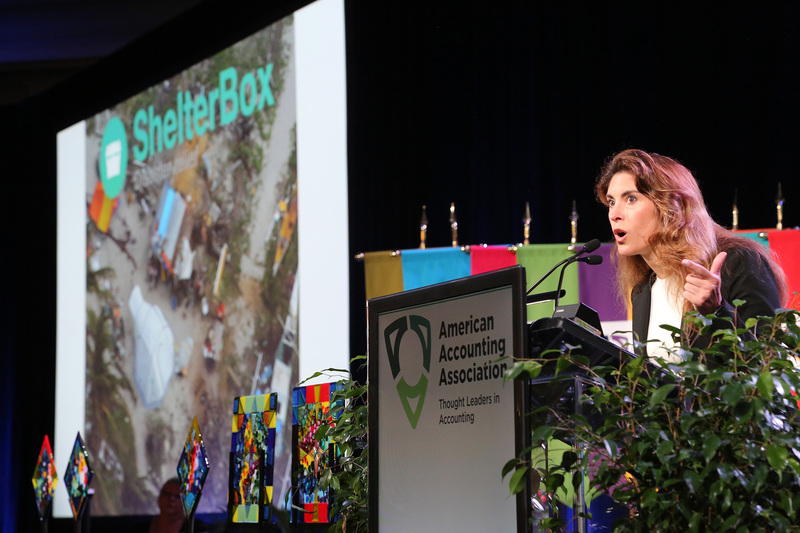 ShelterBox USA President Kerri Murray speaks at the American Accounting Association’s 2017 Annual Meeting. 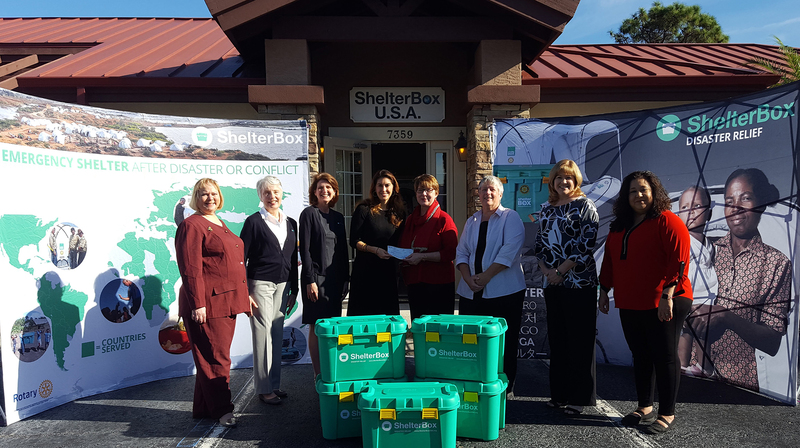 The American Accounting Association presents a generous donation to the ShelterBox USA staff.